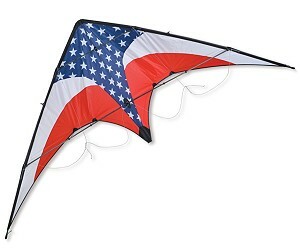 These Two-Line Steerable Stunt Kites are designed for "all around" flying. 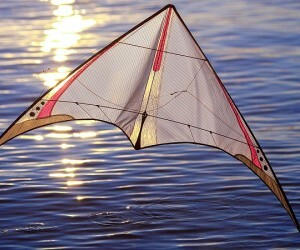 Great for the move from beginner kites to more advanced. All are "trickable", include lines, and have eyecatching durable carry-cases. 87" wingspan x 40" Rip-Stop Nylon with Fiberglass frame. Flying Line and 36" Carry-Case included. 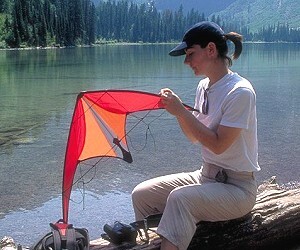 Prism Kites. 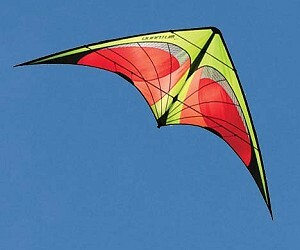 79" wingspan x 34" Rip-Stop Nylon with Carbon Fiber frame. Flying Line, weights and heavy duty Carry-case included. HQ Kites. 96" wingspan x 46" Rip-Stop Nylon and Carbonfiber. Flying Line and heavy duty Carry Bag included. 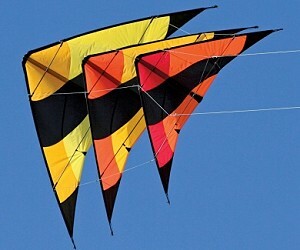 Premier Kites. 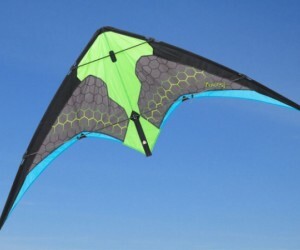 91" wingspan x 38" Rip-Stop Nylon with Carbonfiber frame. Flying Line, DVD and heavy duty Carry Bag included. 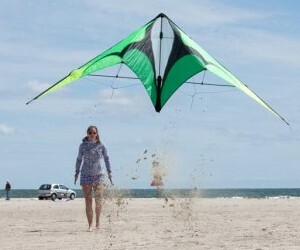 Prism Kites. 69" w/s x 35", 59" w/s x 29" & 46" w/s x 24". Rip-Stop Nylon with Carbon/Fiberglass frame. Flying Line and heavy duty Carry Bag included. Into The Wind. 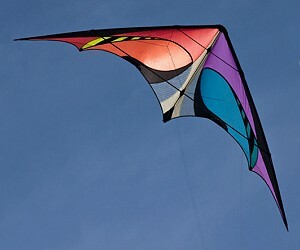 39" wingspan x 18" Rip-Stop Nylon with Carbonfiber frame. Flying Line and heavy duty Carry-Case included. 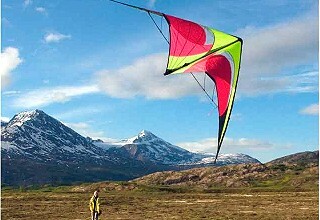 Prism Kites. 69" wingspan x 32" Rip-Stop Polyester with Hybrid Fiberglass frame. Flying Line and heavy duty Carry Bag included. HQ Kites. 58" x 26" Rip-Stop Icarex Polyester with Micro Carbon Fiber frame. Padded 23" Carry-Case. Includes 50ft x 50lbs Flying Line. Prism Kites.